I just lived the best summer of my life. Life after sport, that is. Being that it was the first one of this kind for me there’s nothing to compare it to. I suspect it will stay at the top of the list for some time. It was so busy there was no time to share the experience. Thus, this Summer Adventure Trilogy. Scrolling back to June 27th feels like reminiscing to a lifetime ago. Was it really only three months ago that my official summer vacation began? 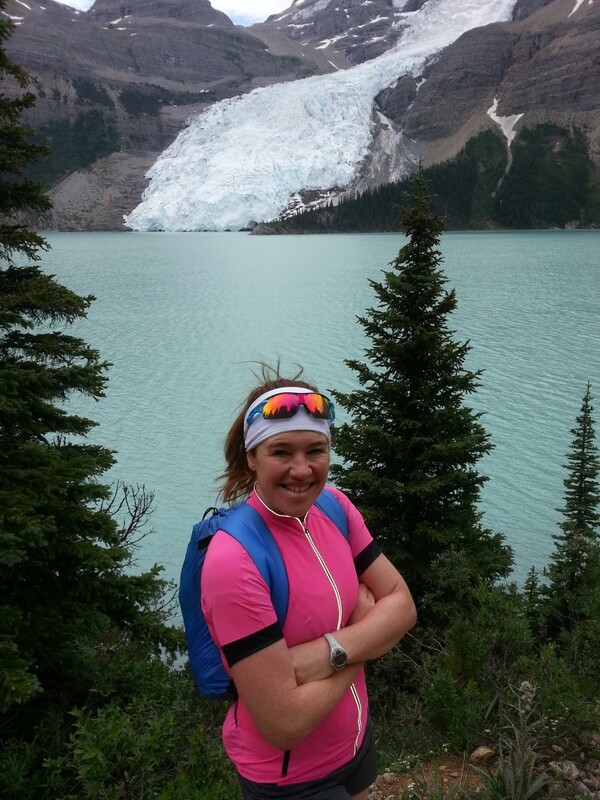 For over two decades summer meant either racing or punishing training to race in the winter. It entailed a focus that allowed for windows of adventure, but never allowed my focus to sway from the self-inflicted pressure and sense of responsibility to always think about competition. I obsessed for 23 years if and how I would be both strong enough and recovered enough to swing the leg over the bike or strap the blades on the feet when the racing began again. To say it was a relief to be freed of this ever-present agenda is an understatement. 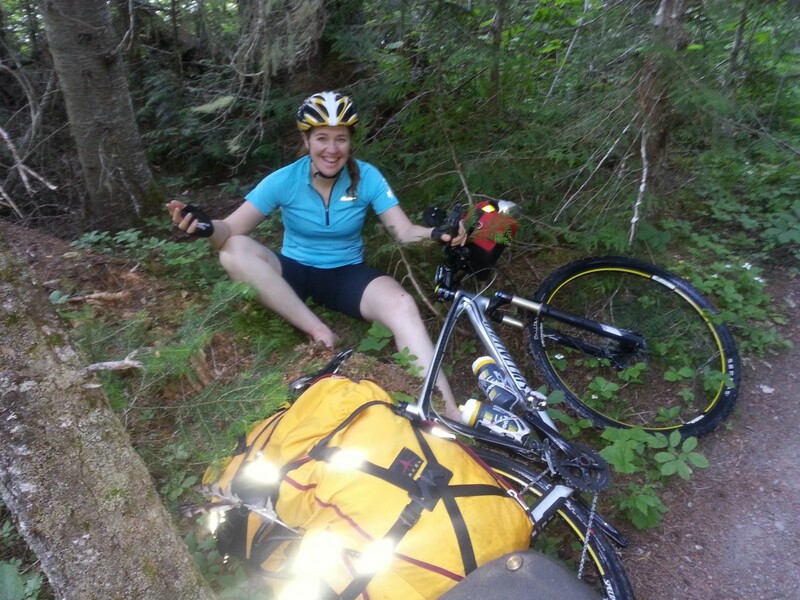 Not having these worries freed me to truly go with the flow of bike touring, hiking, hiking and travel. My companion was and is who it always is, my husband, Peter Guzmán. In many ways he is my life guide. Not just the support he’s provided over the past 17 years of co-existence, but also the skill he brings into anything adventure related. On land, water, ice or snow, there’s no one I trust more or would want to be with than Peter. It began with a late start from the front door. With our condo complex destroyed three floors of five, we were relieved to hike down the stairs (the elevator still has not been fixed months later…) with our paniers, fit them onto our touring mountain bikes and pedal away from the mayhem of post-flooding Canmore. 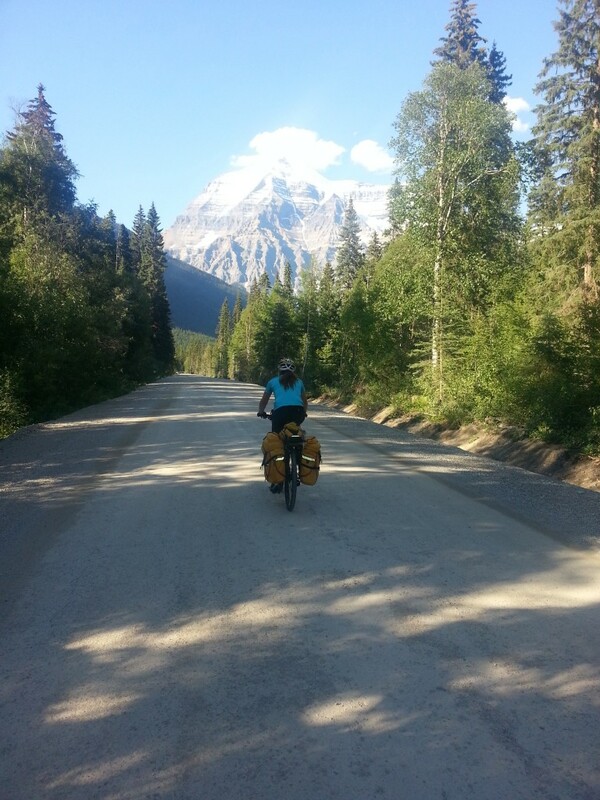 Still unable to ride the Banff Legacy Trail, we coasted down the hill to the stop in Canmore, put the bikes in the front racks on the commuter bus and paid our fares. 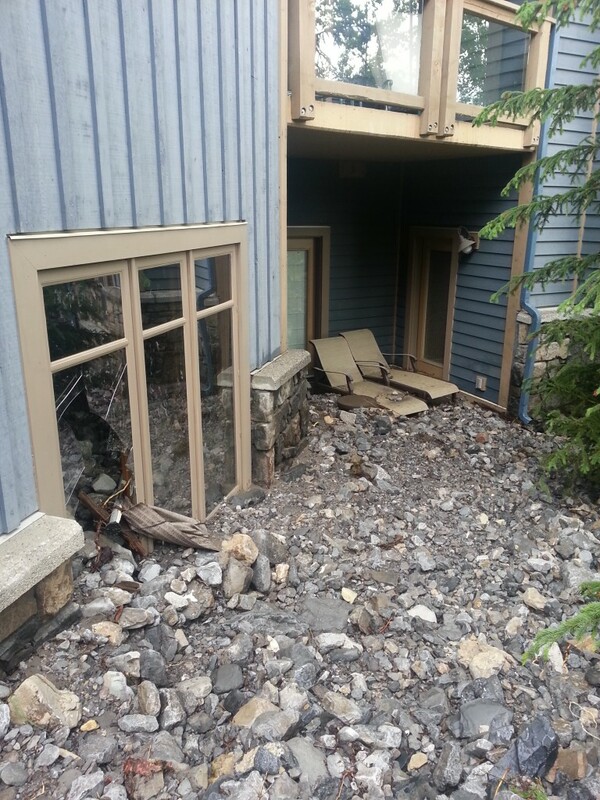 Flooding aftermath at our condo complex in Canmore…. 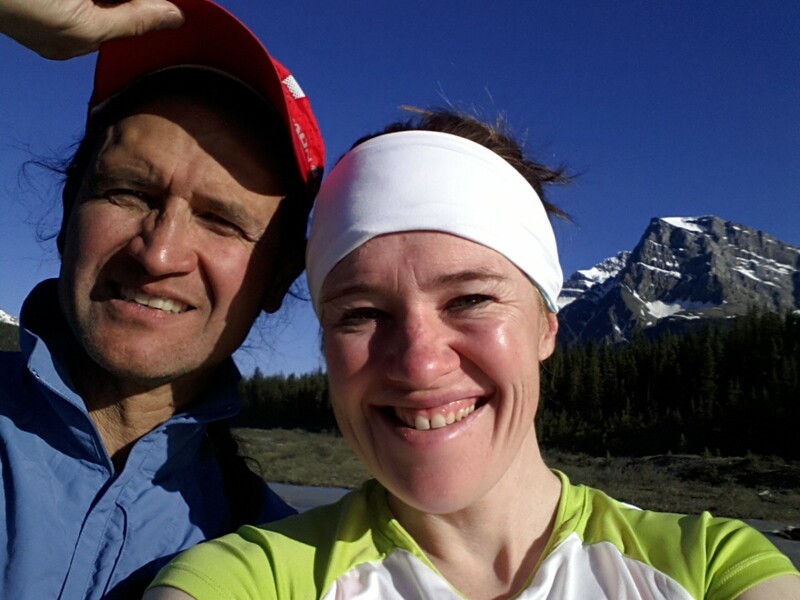 Twenty short kilometers we arrived in Banff and hit the local bakery. 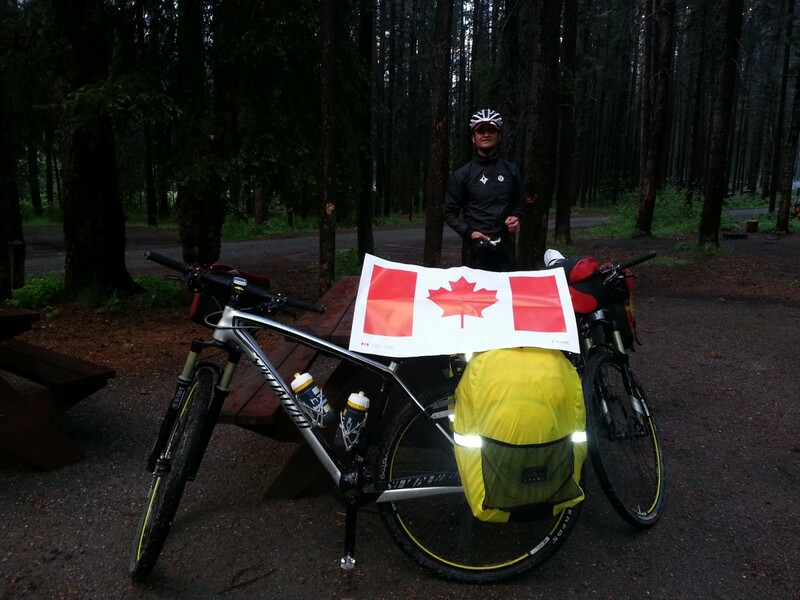 Espresso and pastries fueled us for the remaining distance to the Castle Junction Campground, some 30kms away on the Bow Valley Trail. We must have looked like dirt bag bike tourists already because the unfriendly Australian girl working the cash softened her hard edges for an instant, for some reason giving us the day old loaf of sourdough rye and multigrain sourdough buns she said ‘would just go in the rubbish bin’ anyway. Free bread, sure, why not. Life on the road began as it usually does: better late than the next morning. 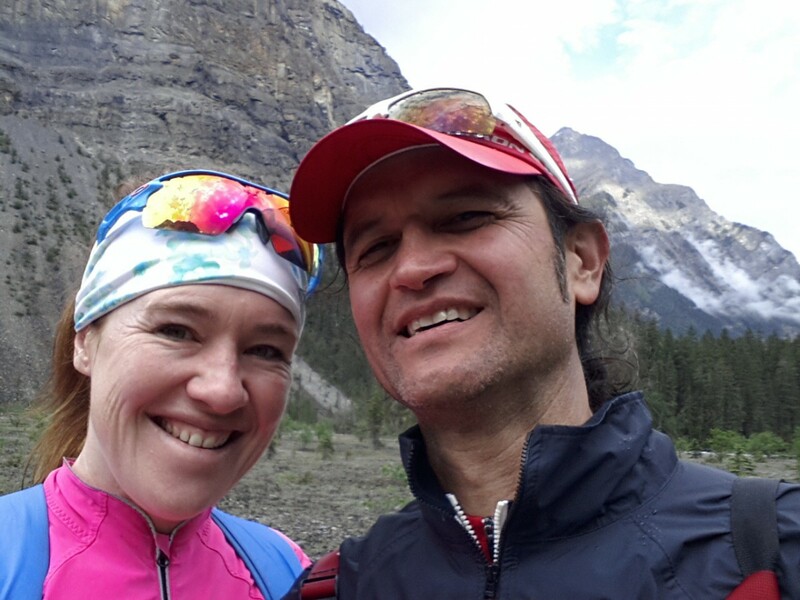 We pedaled out of Banff on the bike trails still under some water from the rains that caused so much damage only the week before. 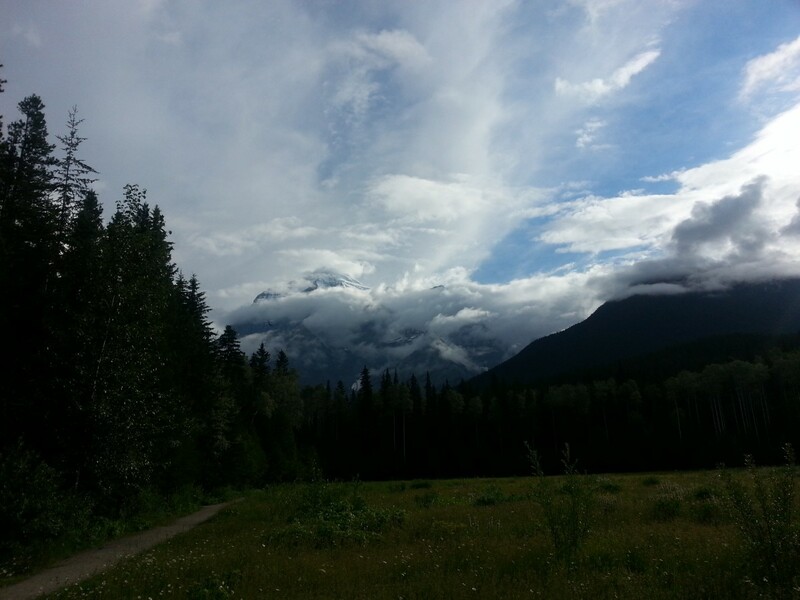 Shortly after getting on the Bow Valley Trail we noticed the sky turning menacing shades of black and grey. What was a beautiful sunny day shifted fast into doom and gloom. Riding up one of the steep hills we looked at the forest and noticed shades of green grey mist. Trees began to sway and bolts of electricity hammered out of the sky much too close for comfort. Peter looked at me with worry in his eyes saying we needed to get off the metal bikes and take cover in the forest until the storm passed. Next thing I knew we sat crouched like little gnomes in the forest beside the road. We even took our shoes off because of the metal cleats. Lightning sizzled all around, trees snapped and whizzed as they fell into the forest, onto the road. We saw cars passing up the hill we sat beside, sometimes seeing the passenger do a double take when registering there were two people crouched in the forest. Their looks were priceless. All we could do was sit and wait. At least an hour and a half we waited. At one point we heard a vehicle stop. Next we heard was the sawing and dragging of wood. The rain still fell and thunder rumbled so we stayed put. 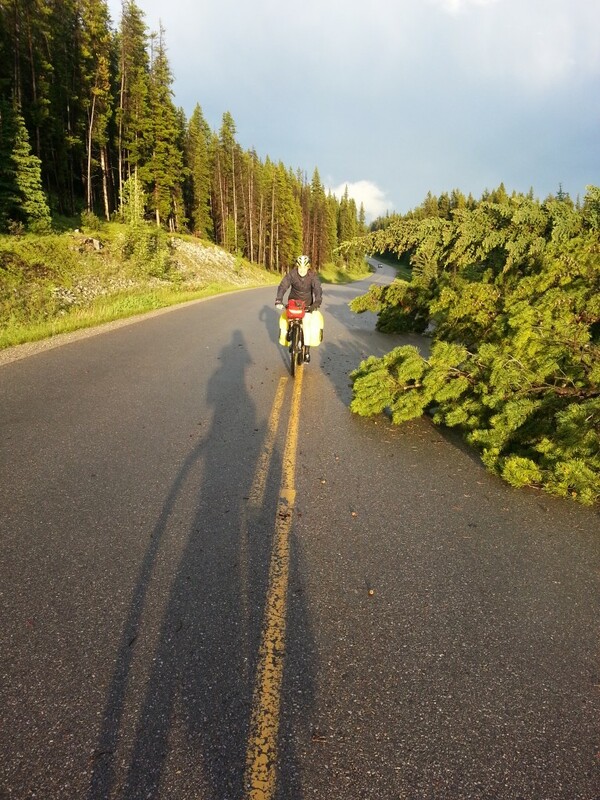 When we finally got out of our shelter in the trees, we saw a big spruce tree had indeed fallen across the road, blocking the way. The people in the car got out their camping gear and cleared it to get through. The skies cleared and it was nearly 9pm. We rode about a kilometer and my wheel started making the sound of winter studded tires. Only there was no snow and I was on semi-slick MTB tires. This meant one thing and only one annoying thing: a flat tire. We pulled over into a trailhead parking and changed the flat. Or should I say Peter changed the flat. Back on the road again and less than two kilometers later, a massive black bear strolled the roadside. Sleek oily fur glistened when soaked with rain. He was a beauty and we were on bikes. Some vehicles came and began the unfortunate tourist reaction of playing bear safari. People seem to like pretending they are on Animal Planet and take to rolling slowly alongside the animals, one person driving, everyone else standing up out of the windows taking pictures of the bear or elk or whatever four legged large creature there is to stalk. Tourists in the parks to the animals are like paparazzi in Hollywood to the stars. Only thing is, bears don’t leak their whereabouts in hopes of getting some airtime. They just want to graze or be in a place they feel is safe from predators. Unfortunately, this usually means being a roadside attraction. Yes, we were still riding! Riding by the animals is something else. We made our way on the opposite side of one big red SUV as it voyeuristically crawled beside the bear. When we were passed the creature we pedaled slowly ahead, not wanting to sprint and let the beast think we were prey fleeing it’s territory. Not that I felt a black bear in the Rocky Mountains would turn polar on us and predatory in nature. But you never know. Better safe than munched. Finally, we arrived at the campground. At 10:20 pm in the dark. I was so cold there was no need to rinse off with the water bottle shower common to us in the rustic campgrounds. Dry clothes were in order. I changed into the one set of off-bike clothes I had to last me the next month. My camp clothes. Thin long underwear, wind pants, long underwear shirt, wind jacket, lightweight down jacket and rain jacket over that. Toque on head and dry socks on my feet under the barefoot running shoes that are so light they’re good for travel, I began to warm up. We’d stopped at the gas station near the campground that has one of the best and most reasonable beer selections we’d see the entire trip, so as soon as I warmed up we cracked open a cold beer. Why not, we were on vacation after all. The Day before Canada Day at the campground…we just got there and it was almost dark! Peter set up the tent. We got in after putting the food in the bear storage at the center of the campground just in time for the rain to begin again. We both slept in that next day. With a month to ride wherever we wanted, there was no rush to get anywhere. 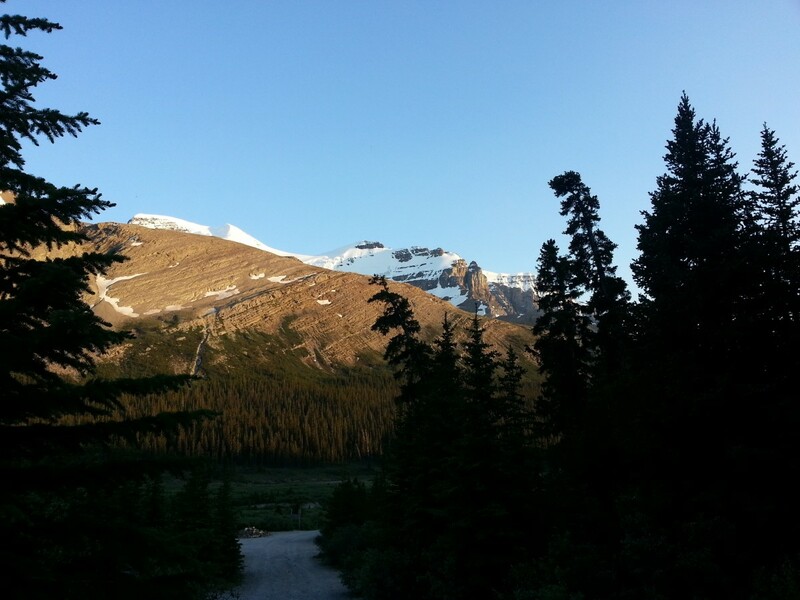 We cruised up through Lake Louise then hooked north onto the Icefields Parkway. Jasper was the first destination. 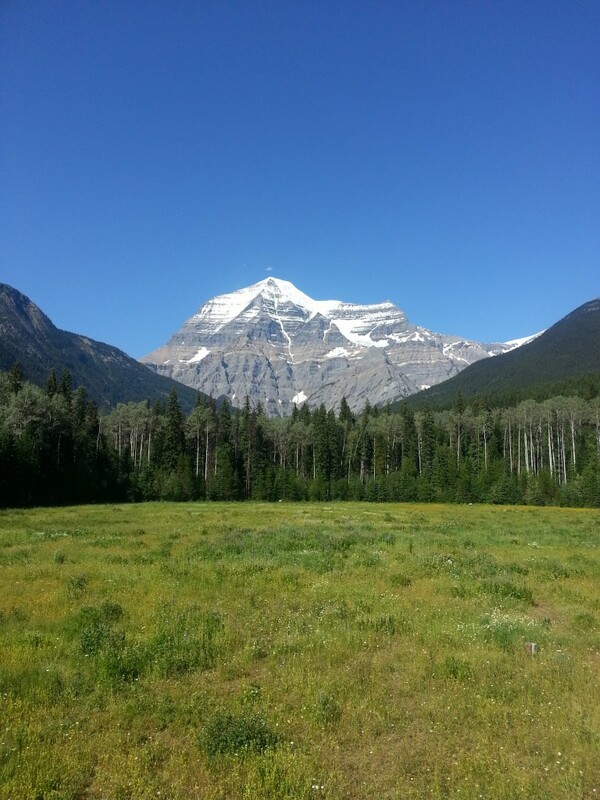 From there, we planned to go to Mount Robson. From there we hadn’t a clue. We’d let the road decide and see where it took us. I wanted to ride far and Peter wanted to ease into the trip. He said for the first few days at least, let’s just take our time. 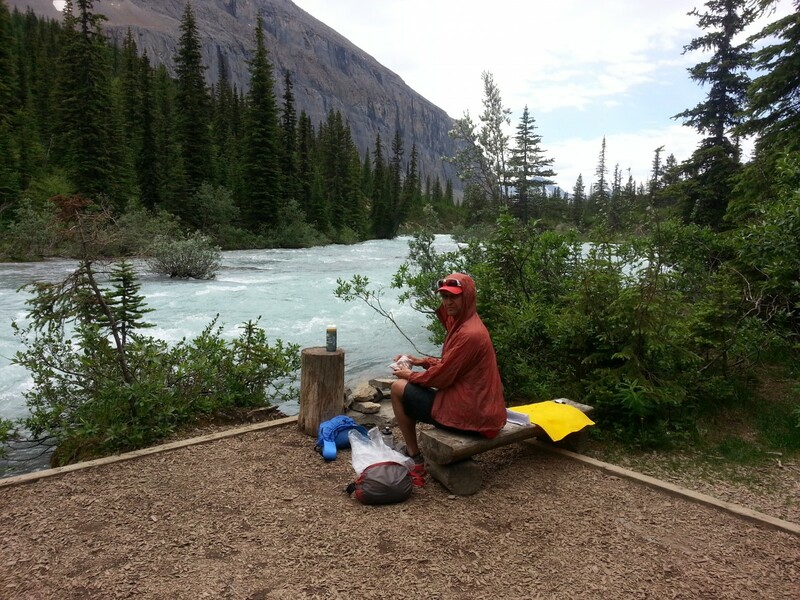 We settled on 70kms to the first campground. Along a dirt road entrance road we looked incredulously at the family on the side along the creek. They had a picnic set up and were enjoying the late afternoon sun. What threw us off was the plastic bottles and bee bee gun the woman was aiming at under instruction from a man. Her head was covered and she smiled as he showed her how to take aim and fire. The gun looked more like a kaleshniakov than a bee bee type, but Peter assured me of the latter. We were in a national park and fire arms of any kind are illegal. We rolled on leaving the situation in wonder, knowing it was innocent. Still, who has a firearm of any kind in a National Park. At least in Canada. 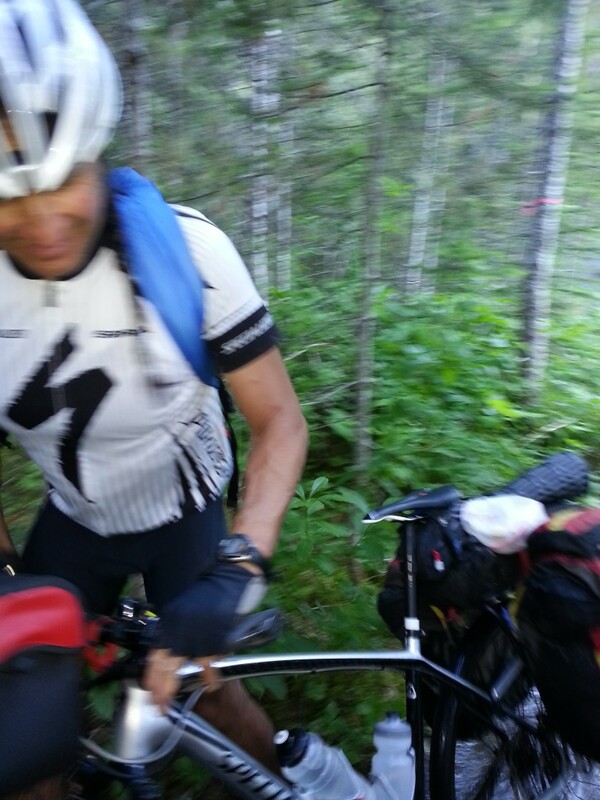 A campground host with a thick German accent greeted us as we rolled up the dirt road looking for a secluded site. 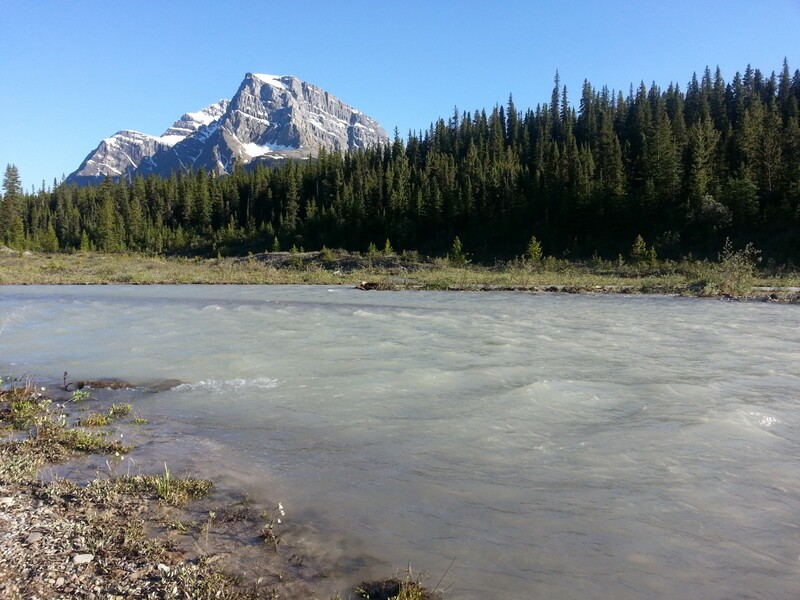 It was a little used overflow site stuffed with RVs because the usual campground had flooded out from the heavy rains that caused all the devastation from Canmore to Calgary and beyond. She moved faster than her years and asked us excitedly where we were from. 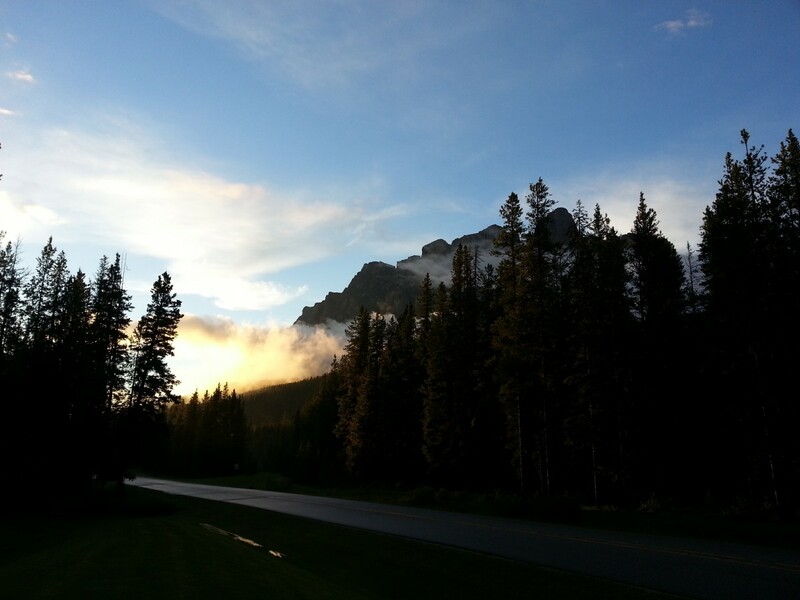 Canmore, we said. “What a disappointment”. She liked to ask the bike tourists their favorite places to ride because she and her husband were two wheeled travelers, too. Since we were locals I guess she decided we had nothing to offer and proceeded to tell us the best places to go on bikes for adventure in the world. Little did she know Peter had already toured close to 50,000 kms worldwide and I, too, had a little experience globally on bikes to say the least. Too funny. A disappointment when our little adventure was just beginning. With the storm the night before and the beautiful ride that day, we already felt the road had been traveled weeks not hours. Oh well, can’t please them all. 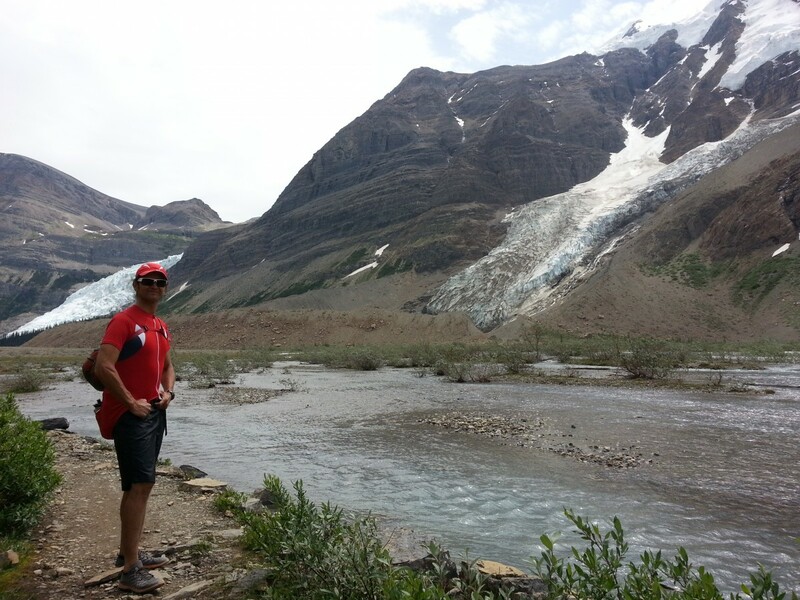 The following day we pedaled north to the Athabasca Glacier and the Icefields viewing center. It looked like a soviet inspired tourist trap rather than a place to showcase the shrinking mass of ice and snow across the road. Tourist buses filled the parking lots and orders were given to each group as to time allowed for viewing and buying inside, where to meet for departure. We felt like aliens in the mass of group travel and wanted to return to our planet of pedaling in silence. We got out of that dingy building and found a nice spot along a fast flowing creek in another National Forest Campground just south of the center. A cool rinse in the creek livened the senses and we chilled out in the afternoon sun. While cooking dinner on the little titanium stove we had for our kitchen, a man approached our picnic table. He said I looked a lot like a former bike racer he watched for years. I told him I did indeed race and yes, it was me he was thinking of. He was a gem of a guy who loved to ride as much as Peter and I combined. 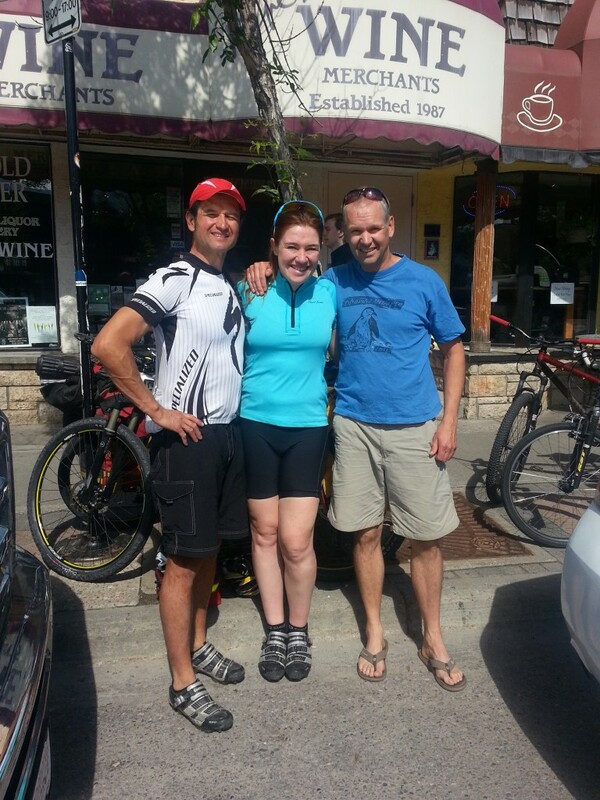 He shared tales of trips past, loops done, bikes owned. Each time he said ‘I won’t bother you with more stories’ he soon enough came back to tell another. This might sound annoying but he reminded us of a cowboy-like ex-pat American we met multiple times while bike touring down in Baja, Mexico named Jim Dandy. No joke, Jim Dandy. This guy had a big beard flowing down over his heart of gold just like our late friend Jim so we liked his multiple approaches and conversation. Before leaving the next morning disaster struck when Peter went to do his ritual morning face rinse in whatever available water. Preferably the cold and flowing kind, that morning he was not disappointed with the cold flowing creek. Unfortunately he didn’t realize a brand new pair of Oakley sunglasses rested on top of his toque. When he pulled the beanie off, the glasses tumbled in front of his eyes, immediately being sucked into the rapid flow. We spent the next hour futilely scanning the banks and bends in the creek. A last ditch effort had us riding to the creek flow down by the roadside, up the bottom drainage of the sunglass-stealing water. No luck. Peter was left to squint all 130kms we rode that day to Jasper. We had one goal in Jasper and that was to find, immediately, the pizza joint our Jim Dandy-like friend described. Looking like true dirt-bags, we walked into the classy in the tourist sense joint sweaty and grimy with helmets tucked under our arms. It was a restaurant chain but we didn’t care. We’d left the campground early before 7am so it was only noon when we arrived. 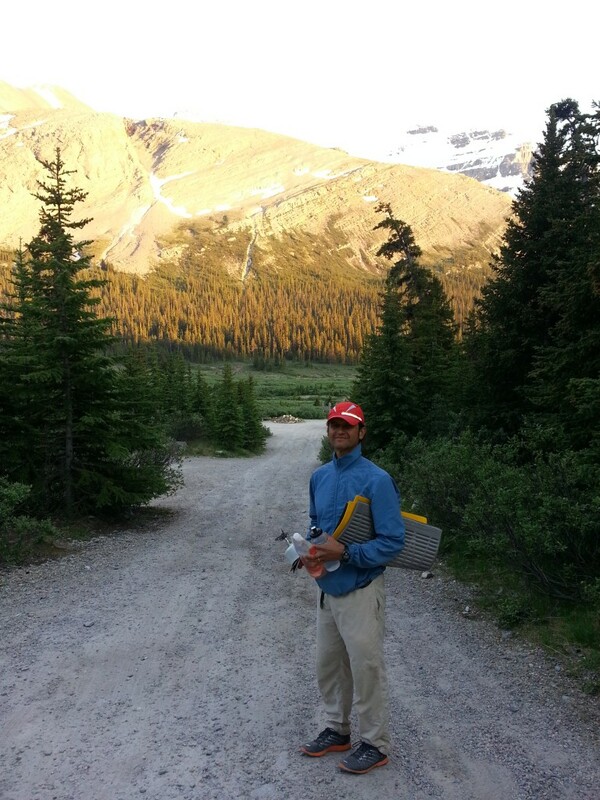 With the rest of the day to explore the mountain park town of Jasper we took our time scanning the menus. We proceeded to order way too much food. Still, we managed to eat appetizers, pizzas, guzzle sweet drinks and even the mints left with the bill. Somehow some tourists recognized me asking if I was still racing. ‘Nope, I’m just a dirt-bag bike tourist now, on the road for the month of July’. It felt good to say this and think there were no strings attached, just travel at it’s best ahead of us if we remained open to the way the wind would take us. Eating would be a theme on our trip. The entire trip. We proceeded to eat our way through the Rocky Mountains, west to the Coastal town of Bella Coola, then all the way back east through lower mainland BC, the Kooteney’s and then up and over the Rockies to Canmore again. I don’t think either of us managed to lose a single pound in the 2800kms we cycled in thirty days. Sad but true. 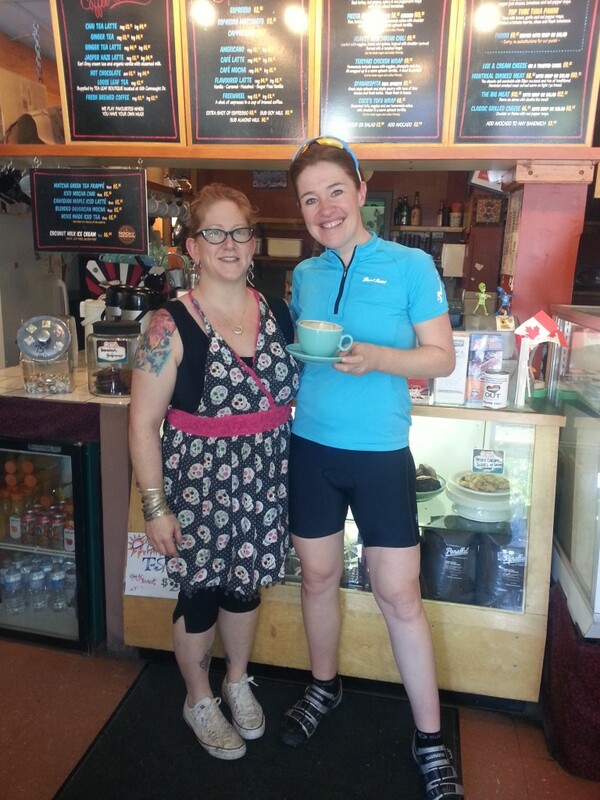 A girl I vaguely knew from bike racing approached me in the health food store in Jasper. 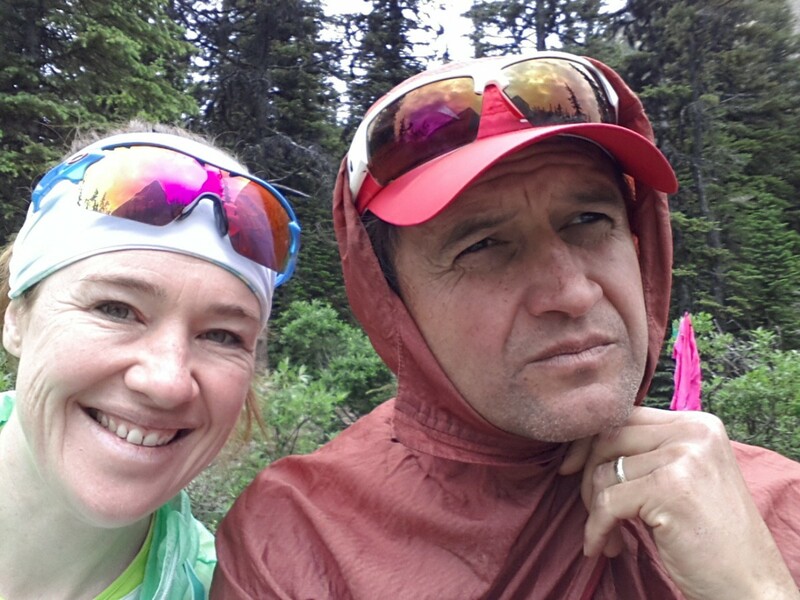 She recently quit MTB racing and wanted to talk more than I cared about ‘both being retired, missing racing, blah blah blah….’ The last thing I wanted to talk was racing and I tried to get out of the same isle but kept running into the same girl and the same conversation. She seemed troubled and I tried to have patience. Finally, she asked us if we wanted to pitch our tent on the back lawn of the condo she rented a room in. With the option of riding 5kms back into a headwind with a thunderstorm brewing up above, we decided to accept. I only hoped we could turn the conversation to anything but the wide world of sport. We were grateful for the invite and she had a lot to do anyway. After getting our laundry and taking some pics with young swimmers in the laundrymat whose parents recognized me, which would become a theme of the trip wherever and whenever we stopped to rest, eat or camp, we set out to find the condo from the vague directions the MTBer gave. Peter asked if I was annoyed at people approaching me and to be honest, I always think about it from the other side. I love kids and people and each person that says hi it’s the first time for them to meet me and they usually just want to say thanks. It means a lot to me that people cared about sport and maybe liked my approach. In the past three years I get a lot of approached with thank you’s for the work I’ve done with the Bell Let’s Talk mental health campaign. This means the most to me because it validates what I already know: there is a major problem when it comes to stigma and mental illness. That I speak out from a personal level on this subject and get this response only motivates me to do more. That we would ride some of the very roads the Big Ride for Bell Let’s Talk I will do next Spring gave me goose bumps knowing it meant something to so many. It just surprised me that people would recognize me in the dirt-bag mode, that’s all. Soon after arriving to the condo our new MTB friend’s roommate aka owner of the place came home. He seemed a bit hesitant but warmed as we queried his PHD work on the mighty grizzly bear. 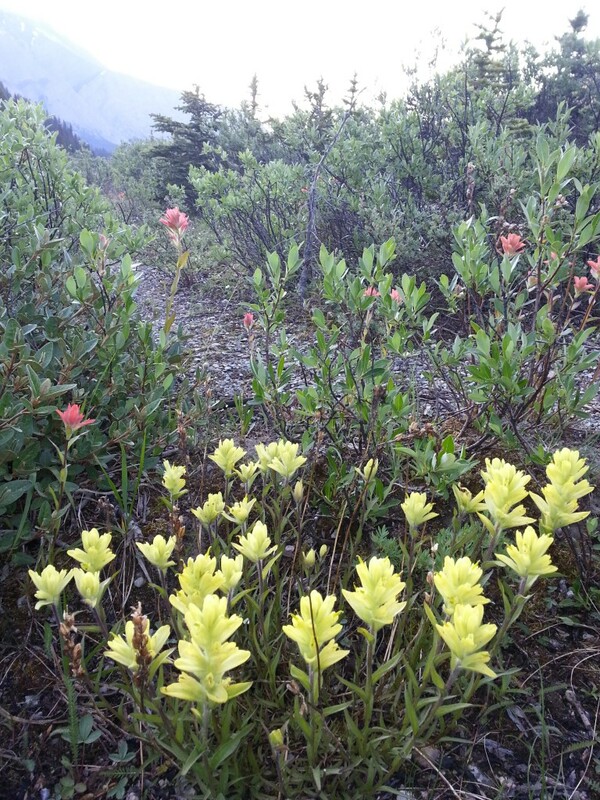 James was also a park ranger in Jasper, before having worked up in the Western Arctic. We shared our love of the tundra and bears alike while mixing ground bison for burgers on the grill. James was our new friend and to say thanks for the night, he took us to breakfast at the best little diner/café in Jasper, and we paid. Mt. Robson, the highest peak in the British Columbia Canadian Rockies was our next destination. It took about four hours to ride the loaded bikes to the Visitor’s Center. The view of the peak was breath taking. Peter had ridden past a few decades earlier and saw only clouds. That day we stood for a long time gazing up at the snow covered peak. 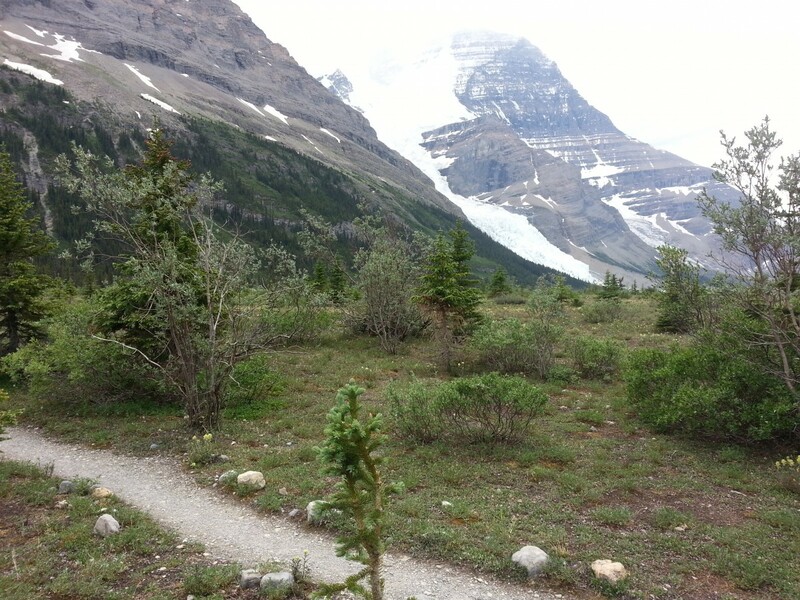 The hiking trail went up to Robson Glacier and beyond. 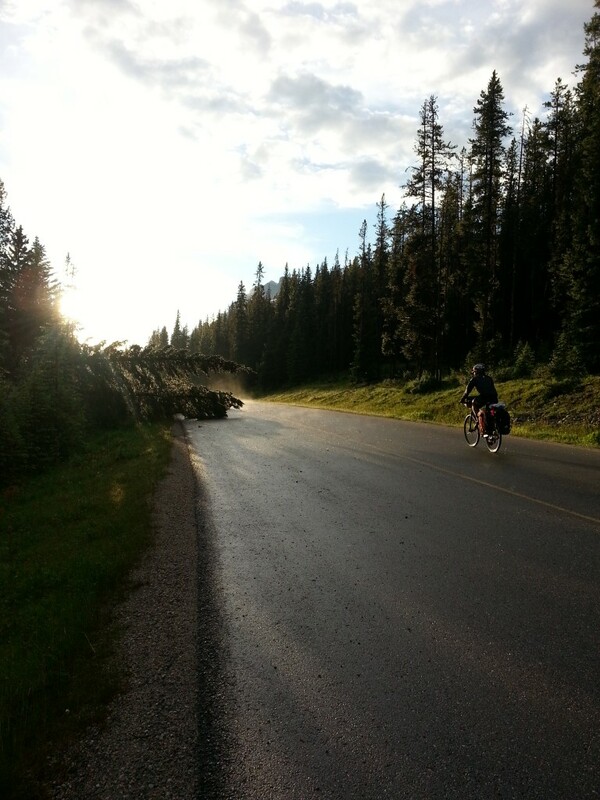 The first seven kilometers to the first campground was open to not only hiking, but riding, too. We booked and payed for a spot to camp. Our idea was to make a one-day bid for Robson Glacier. 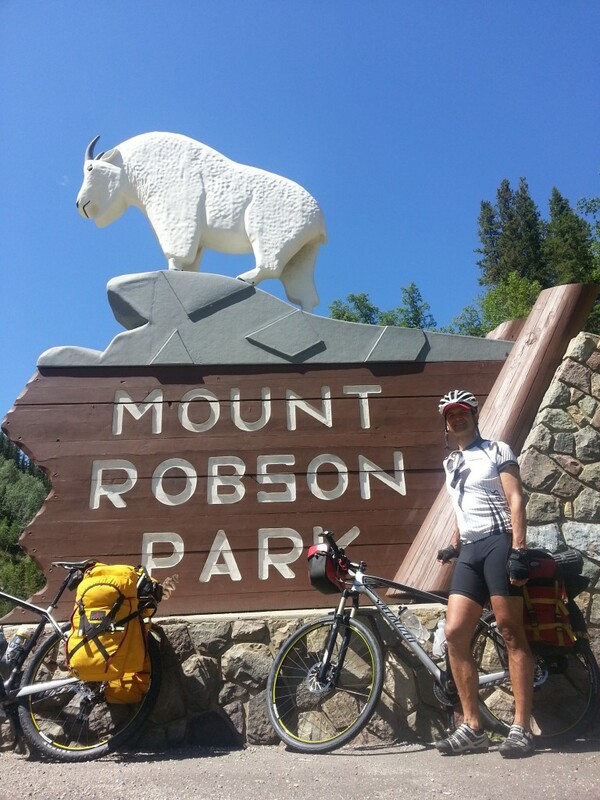 It would be a 32 kilometer round trip with a lot of elevation gain and loss. All we had were our camping shoes which were essentially barefoot runners. That and a tiny Sil nylon daypack. 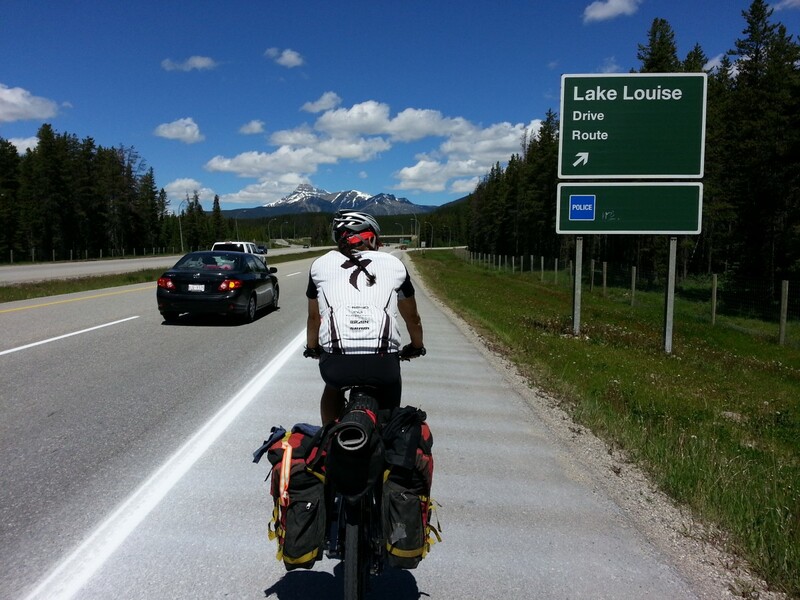 We knew it would be a crippling effort because all we’d been doing was ride since leaving Canmore. We also knew it would be worth the price of leg pain. In preparation for the exhaustion, we booked an extra night at the campground, planning for a day off up in the beautiful Provincial Park after the hike. What we thought would be an easy ride turned epic. Not only was it not ‘flat and fun’ like the lady at the Visitor’s Center said (it was straight up and rocky), it was also flooded out from the melting glacier feeding the raging stream beside the trail. 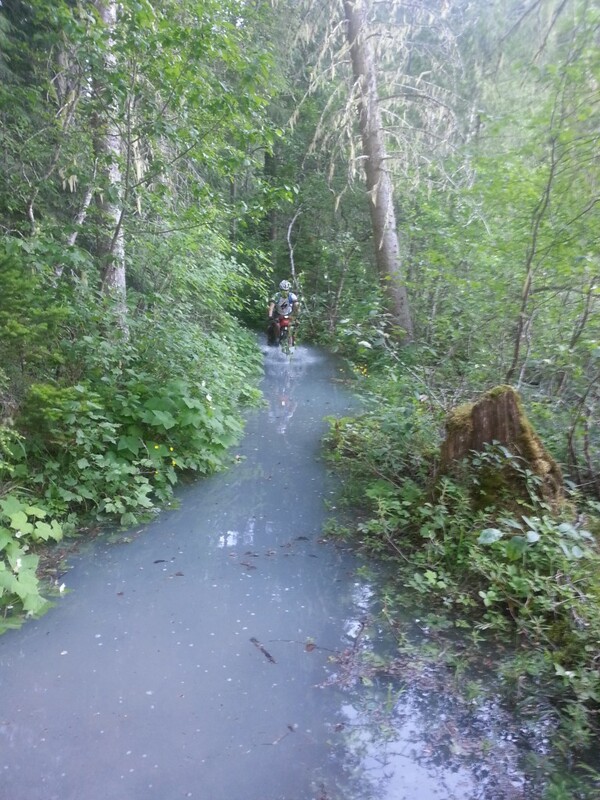 Parts of it were completely flooded over and we were riding through mid-thigh frigid water. I took my cycling shoes off and rode with bare feet. We missed a junction as well, riding through a completely flooded picnic area we thought was the campground. All we could do was laugh. 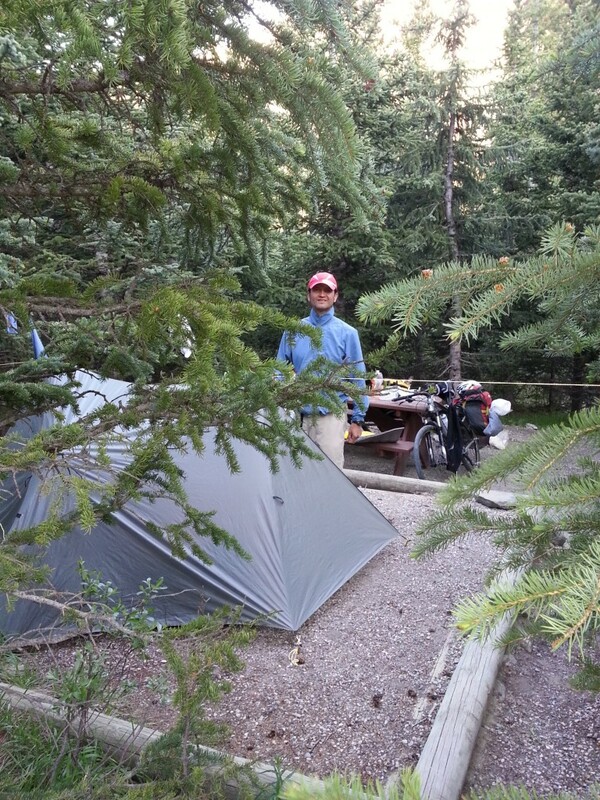 We finally reached the campground and with relief pitched the tent, cooked some dinner and passed out in exhaustion. The hike was glorious. We booked it up and down with little gear. Lots of people lined the trails. Of all ages. Families of four with little toddlers kitted out MEC head to toe, first time hikers, young couples, old folks….it was a mixture of people experienced and not that made Robson their mecca for the weekend. Oh man we were tired…. For us, after the hike, it was a needed day off the bike tour. We went for a little walk and slept the rest of the day. The morning we planned on leaving a woman from a large backpacking group came over to say hi. She asked where we were going on the tour. We had no idea. She was from lower mainland BC, West Vancouver to be exact, and we started to look at the provincial map with her. She pointed to a place far on the west coast called Bella Coola. ‘Now that is a special place’. Peter responded with ‘I’ve always wanted to ride there’. Our next destination was set. We had no idea if we’d have enough time to pedal back to Canmore for our flight to Northern Labrador and the Torngat Mountains at the beginning of August; no idea how we’d get out of Bella Coola because it was a dead end highway on the remote coast in the Chilcooten Cariboo region of BC….we didn’t care. The road beckoned and we had to listen. Bella Coola became our mecca. The adventure was just to begin.